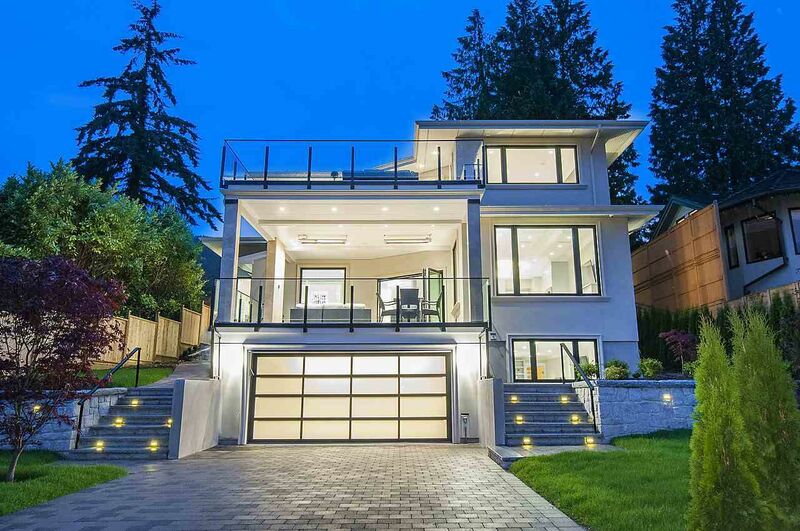 Introducing this luxurious 5 bed, 4.5 bath, custom family home in Dundarave with sweeping ocean views. Exceptional quality is evident throughout the entire home. Finishing's include engineered oak hardwood flooring, custom millwork, European designer tiles, crystal lighting fixtures, LED lighting, in-floor radiant heat, high velocity A/C & HRV. Indoor & outdoor living with large heated covered patio space & outdoor gas fireplace. A luxurious chef's kitchen boasts solid wood custom cabinetry, WOLF and SUBZERO stainless steel appliances with a separate WOK kitchen. The upper level includes three bedrooms, each with its own ensuite. Lower floor includes a media room, cedar sauna, wet bar, wine room and two additional bedrooms.